The new 2017 Chevrolet Colorado ZR2 is the first legitimate challenger to the Toyota Tacoma TRD Pro’s all-terrain dominance since the latter hit the scene as a 2015 model. While in the past the Nissan Frontier PRO-4X and the Colorado Z71 each upped the ante of what was possible in a mid-size pickup once the pavement disappeared, they were truly competitors to the more modest Tacoma TRD Off-Road, with the TRD Pro representing a higher level of capability. 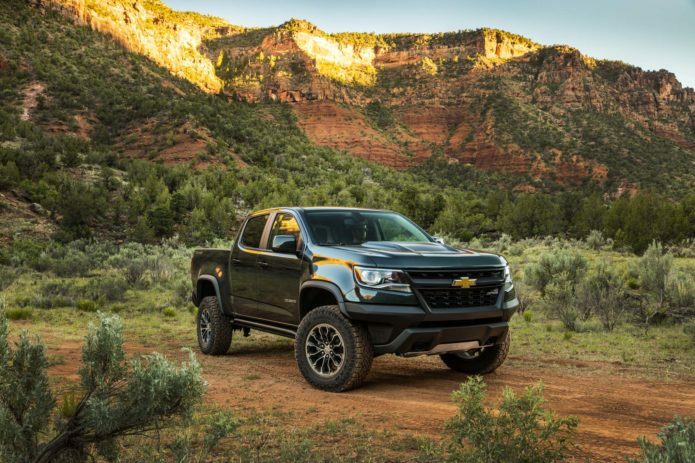 Check out these 5 things you need to know about the Colorado ZR2 and see if it’s enough to sway you from choosing Toyota’s strong-selling mid-size marvel. Rightly or wrongly, the first-generation Ford SVT Raptor did more than any other vehicle to romanticize the notion of a factory pickup you could jump – and safely land – without needing to make substantial modifications to the suspension or frame The 2017 Chevrolet Colorado ZR2 takes that same high-flying attitude and shrinks it down to the mid-size segment, offering a more nimble trail-duster that’s willing to soar should you hit a dirt berm or dune at exactly the right speed.